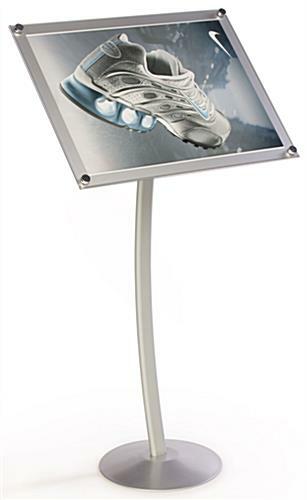 18" x 24" Poster holder hwith silver frame. 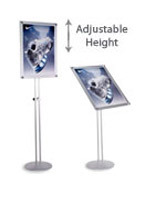 Adjustable bracket tilts to present graphic at best viewing angle. Decorative caps hold together (2) acrylic panels. 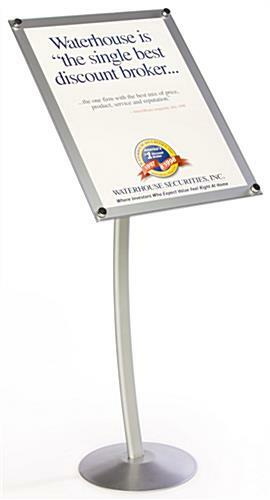 Poster stands, sign displays, and other graphic holders have a tilting bracket to mount the acrylic frame to. 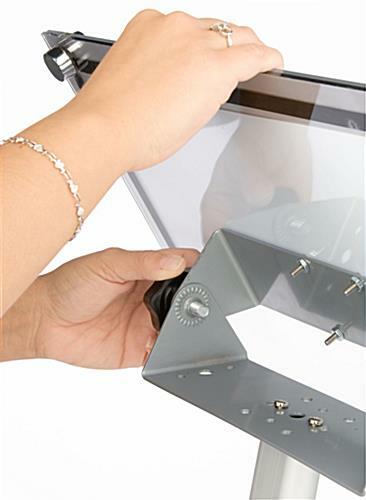 A tilting bracket allows you to set the angle of your graphic in place by tightening (2) knobs. 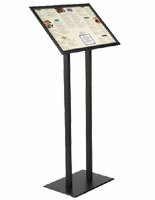 These graphic holders have (2) acrylic panels held in place by (4) screws with decorative caps to securely hold your image. 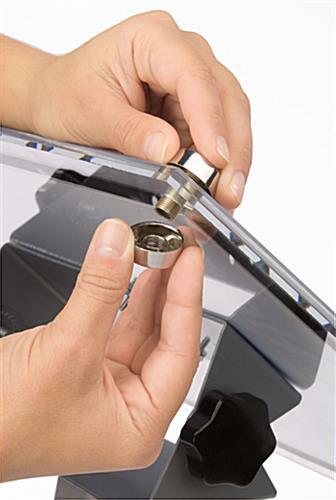 To place your graphic within the display, simply unscrew the (2) top corner caps, slide graphic between the two panels, and replace screws. 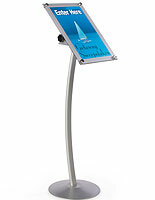 These sign stands, graphic holders have a silver border around the acrylic to frame your poster. 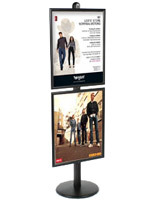 These poster displays are ideal graphic holders for such places as hotel or business lobbies, retail stores, or restaurants. 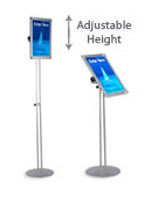 These graphic holders, like floor standing signs and lobby stands, are shipped out unassembled to keep shipping costs lower, and you can easily put the display together in a few minutes. 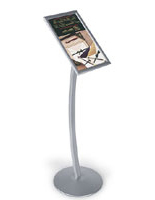 Graphic holders have a sturdy curved aluminum pole and base, making them perfect for heavily trafficked locations. 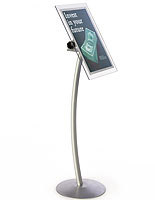 These lobby displays, graphic holders are available for a low cost that adds a beautiful display to your décor that is sure to impress your patrons. 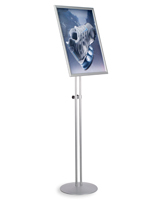 26.5" x 55.0" x 20.0"
Client used as informational stand and it worked great!